Département de Physique, Ecole Normale Supérieure de Paris. Directeur de recherche (DRCE) au C.N.R.S. Professeur à temps partiel à l'Ecole Polytechnique (2002-2016). Un CV en francais en version courte ou longue. CV: an English version, short or long. Two press articles: in French (2006), in English (2016). Random Geometry, Random Spatial Processes/ Géométrie aléatoire, processus spatiaux aléatoires. Understanding random fractal patterns is at the core of the comprehension of many physical phenomena or mathematical structures, and the Brownian motion is a historical example of such structures. I participated to the understanding of newly constructed planar random curves or interfaces (called SLE), a theme which fits into random geometry. In collaboration with M. Bauer, we developed bridges linking probabilistic approaches from mathematicians with those of physicists based on field theories. Conformal Field Theory, Integrable Systems and Applications/ Théories conformes, systèmes intégrables et applications. Conformal field theories (CFT) and integrable systems find applications to 2d phase transitions, to critical quantum systems, and they are closely related to string theories. I have been involved in the development of the CFT methodological tools. Part of my work relies on deciphering and using quantum symmetries, others have a more mathematical flavour related either to algebraic structures of CFT and to geometrical aspects of Riemann surfaces. Turbulent Systems, Turbulent Transports / Systèmes turbulents, transports turbulents. Turbulent phenomena are ubiquitous in many every day phenomena, but still lack a complete theoretical understanding. I participated to the physical and mathematical collective understanding of intermittence phenomena in the (up-to-now) unique solvable model of turbulent transport, and to enlighten traces of conformal invariance in two dimensional turbulence. Quantum Noises, Open or Out-of-Equilibrium Quantum Systems / Bruits quantiques, systèmes quantiques ouverts ou hors d'équilibre. Experimental progresses in controlling quantum systems gave new impetus to study unexplored territory of quantum dynamics, and simultaneously to answer old questions of quantum mechanics. My recent research aims at studying quantum stochastic processes, their mathematical structures and their applications to the physics of open quantum systems. Motivated by curiosity, I also considered problems related to 2d disordered systems, to localisation phenomena, to topological matters, and to facets of semi-classical gravity or to random or genetic networks. I am currently involved in an ANR research project on "Stochastic Methods in Quantum Mechanics" in connection with quantum information, quantum noises and open quantum systems. Here is a brief research summary. Here is an up-to-date interactive list of publications (posterior to 1992, with abstracts and full texts but with one plus another one references missing). Here is a complete list of publications, (a pdf file but without abstracts). Here is my ORCID page. "Statistical Aspects of Quantum State Monitoring for (and by) Amateurs", (2016) by D.B. a series of lectures presented at the Artic School on Open Quantum Systems, Finland, Dec. 2105. "Conformal field thoery out of equilibrium: a review" , (2016) by D.B. and B. Doyon, a review article for a special issue of JSTAT on non-equilibrium dynamics in integrable quantum systems. "An Introduction to SLE for (and by) Amateurs", (2012) by D.B., Chern-Simons lecture series on Stochastic Schramm-Loewner Evolutions presented at UC Berkeley (Notes by J. Johnson-Freyd), and at few other places. "2D Growth processes: SLE and Loewner Chains", (2006) by D.B. and M. Bauer, a review on 2D random spatial processes and Stochastic Schramm-Loewner Evolutions from a physicist point of view. "Conformal Invariance in 2D Turbulence", (2006) by D.B., G. Boffetta, A. Celani and G. Falkovich, and a related "News and Views" by J. Cardy. "Turbulence for (and by) Amateurs", (2000) by D.B., Lecture series at IPhT-Saclay. "Some Simple (Integrable) Models of Fractional Statistics", (1994), Lectures presented at Les Houches Summer School on Fluctuating Geometries in Statistical Mechanics, France. "Symétries quantiques des systèmes intégrables", (in French, 1993), un court texte écrit pour l'habilitation à diriger des recherches. Original papers on the KZB equations on the torus or on Riemann surfaces, (1988). "Eléments de théorie des groupes et symétries quantiques", (in French, 2012), de D. B., Y. Laszlo et D. Renard, Notes d'un cours d'approfondissement à l'Ecole Polytechnique. "Introduction to Classical Integrable Systems", (2003), by O. Babelon, D. B. and M. Talon, Cambridge University Press. "Statistical Field Theory and Applications: An Introduction for (and by) Amateurs", Lecture note (2018). M2-ICFP-Theoretical Physics: "Statistical Field Theories and Applications". Lecture notes 2018: "Statistical Field Theory and Applications: An Introduction for (and by) Amateurs". Exercise booklet 2018: "Statistical Field Theory Exercices". Correction of the exercise 5.4 "Fractal Dimension of the Brownian motion". Correction of the exercise 6.4 "Effective action and 1PI diagrams". Correction of the problem on "the XY model". Notes (exercice plus correction) on the O(N) vector model. Notes (exercice plus correction) on the renormalisation of Phi3 in D=6 . MAT575, "Théorie des groupes et symétries quantiques / Group Theory and Quantum Symmetries". The lecture notes are in French: voir le polycopié. PHY431, "Relativité et principe variationel": Texte des DM et des PC. PHY311, "Mécanique quantique": Texte des DM et des PC. Ce forum se veut un espace d'échanges et de discussions. La programmation alterne les présentations informelles de membres du département ou de personnes extérieures sur des sujets en développement, sur des problèmes en cours d'étude, sur des thèmes plus anciens mais qui méritent un certain regard, etc. Ces rencontres ont lieu les mercredis à 12h00, toutes les deux semaines environ. The webpage of the Forum has been moved here. -- Mercredi 20 mars 2019 : Mike CATES, "Scalar Active Matter: Phase Separation, Microphase Separation, and Entropy Production". 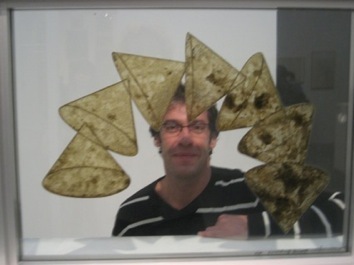 -- Mercredi 06 mars 2019 : Philippe Di FRANCESCO : "Tilings, Paths and Arctic Curves: the Tangent Method at Work". 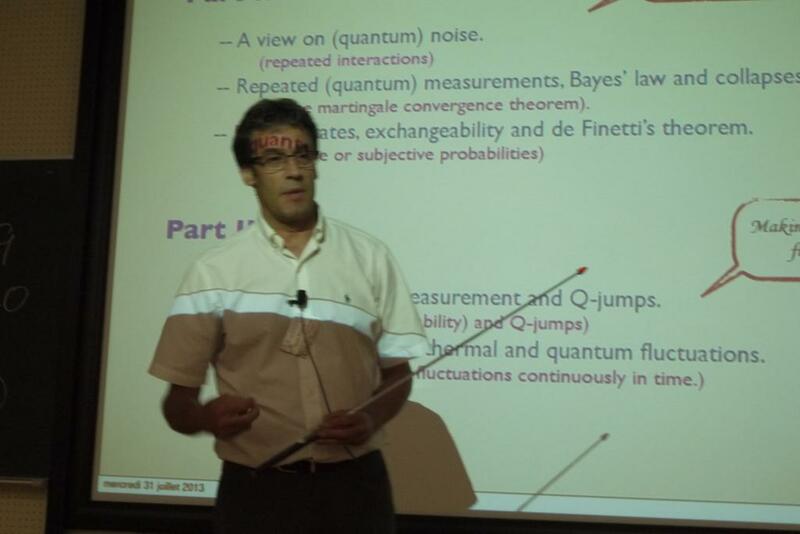 -- Mercredi 27 fevrier 2019 : Massimiliano GUBINELLI, "A PDE construction of the Phi^4_3 quantum field theory". -- Mercredi 06 fevrier 2019: Vincent HAKIM, "Spatially organized oscillatory neuronal activity: from recording data to noisy interface equations and back". -- Mercredi 16 janvier 2019: Jesper JACOBSEN, "Four-point functions in the Fortuin-Kasteleyn cluster model". -- Mercredi 05 decembre 2018: Paul BOURGADE, "Random band matrices in the delocalized phase". -- Mercredi 07 novembre 2018: Aleksandra WALCZAK, "Predicting immune repertoires". -- Mercredi 24 octobre 2018: Yann BRENIER, "Des fluides a l'optimisation combinatoire via le transport optimal". -- Mercredi 03 octobre 2018: Fredy BOUCHET, "Large deviation theory applied to climate dynamics and astronomy: two new frontiers of statistical mechanics". -- Mercredi 30 mai 2018: Claire MATHIEU, "Hierarchical Clustering: Objective Functions and Algorithms". -- Mercredi 02 mai 2018: Guillaume BARRAQUAND, "Kardar-Parisi-Zhang equation and Mac-Donald processes in a half-space". -- Mercredi 11 avril 2018: Yan FYODOROV, "A spin glass model for reconstructing nonlinearly encrypted messages corrupted by noise". -- Mercredi 14 mars 2018: Eric De GIULI, "Natural language syntax as a problem of statistical physics". -- Mercredi 21 fevrier 2018: Benjamin DOYON, "Emergent hydrodynamic in integrable systems out of equilibrium". -- Mercredi 06 decembre 2017: Felix WERNER, "Can one sum up all Feynman diagrams for strongly correlated fermions?" -- Mercredi 15 novembre 2017: David CARPENTIER, "Elasticity of non-orientable ribbons via a Z2 gauge theory". -- Mercredi 08 novembre 2017: Jean-Noel FUCHS, "Berry phase and metric tensor for Bloch electrons". -- Mercredi 18 octobre 2017: Marcel FILOCHE, "Linear vs. non linear transport in the human lung". -- Mercredi 27 septembre 2017: Nicolas REGNAULT, "Probing many-body localization with neural networks". -- Mercredi 24 mai 2017: Jean-Francois JOANNY, "Spontaneous flow in active matter". -- Mercredi 10 mai 2017: Mikhail TIKHONOV, "The statistical physics of ecology and evolution in high-diversity communities". -- Mercredi 03 mai 2017: Andrea CAPPELLI, "Field Theory Description of Topological States of Matter". -- Mercredi 26 avril 2017: Thierry BODINEAU, "Quelques résultats de grandes déviations pour des systemes hors d'équilibre". -- Mercredi 29 mars 2017: Henri ORLAND, "Searching for Transition Paths". -- Mercredi 01 mars 2017: Jacopo DE NARDIS, "Inhomogeneous quantum quenches in spin chains: generalized hydrodynamics, Drude weights and universal fluctuations". -- Mercredi 25 janvier 2017: Benoit DOUCOT, "Informal introduction to topological band structures, with an emphasis on the bulk-edge correspondence". -- Mercredi 11 janvier 2017: Pierre LE DOUSSAL, "Some open questions in 1D Kardar-Parisi-Zhang growth". -- Mercredi 07 decembre 2016: Jorge KURCHAN, "Informal review of a) the quantum bound on chaos and b) its materialisation in spin-glassy models". -- Mercredi 23 novembre 2016: Remi MONASSON, "tba (autour de l'inference statistique)". -- Mercredi 02 novembre 2016: Chris MOORE, "Information-Theoretic Bounds and Phase Transitions in Community Detection and High-Dimensional Clustering". -- Mercredi 19 octobre 2016: Antti KUPIAINEN, "A Probabilistic approach to the Liouville Field Theory". -- Mercredi 28 septembre 2016: Victor BAPST, "Some recent research areas in deep learning". -- Mercredi 21 septembre 2016: Maurizio FAGOTTI, "Quantum quenches: established results and beyond". -- Mercredi 25 mai 2016: Giulio BIROLI, "Many Body Localisation". -- Mercredi 11 mai 2016: Guilhem SEMERJAN: "Random optimization problems, from mathematics to physics and back". -- Mercredi 06 avril 2016: Gregory SCHEHR, "Recent developments on the Kardar-Parisi-Zhang equation". -- Mercredi 23 mars 2016: Bernard DERRIDA, "Corrections de taille finie et méthode des répliques: un cas simple". -- Mercredi 09 mars 2016: Antoine TILLOY, "Continuous measurement and quantum trajectories". -- Mercredi 10 février 2016: Marc POTTERS, "Eigenvector overlap and estimation of large noisy matrices". -- Mercredi 06 janvier 2016: Alberto ROSSO, "Thermalization and many-body localization in driven spin systems". -- Mercredi 09 décembre 2015: Camille ARON, "Periodically driven Ising model: mean-field solution and open questions". -- Mercredi 02 décembre 2015: Denis BERNARD, "Autour du principe de Landauer". -- Mercredi 18 novembre 2015: Satya MAJUMDAR, "Some open problems in random matrices or in random walks". Les programmations plus anciennes peuvent se trouver ici . Je propose régulièrement des sujets de stage ou de thèse en relation avec mes thèmes de recherche. Les étudiants intéréssés sont priés de me contacter par mail, et je ne manquerai pas de répondre rapidement. New Opening: Ph.D. Staring Fall 2019. Here is a description of the subject: Quantum Stochastic Dynamics: from Qu-bits to Many-Body Physics . The followship will be financed via the Ecole Doctorale EDPIF (the student will have to apply for this fellowship). No new open post-doc position this year (2019). Open position (ANR 2016) : The position has been awarded. Subject: Open Quantum Systems, Out-of-equilibrium Quantum Systems and CFTs.